Inspired by the natural formation of the atolls, it is adaptable to any maritime or urban water body. OKAHINA promotes the diversity of the aquatic biotype, limits water heating and constitutes a natural barrier to jellyfish, sharks and above all recovers floating waste. Every 15 seconds, an 80cm wave at 2 meters high, hollow and tubular, offers a path from 30 seconds to an endless wave. Researchers at Oxford University have shown that a surf spot known for its waves leads to greater economic development. Moreover, with the arrival of sport at the Olympic Games, we are hearing more and more about artificial waves in the world. In addition to not having an impact on the landscape and ecology, the structure is completely removable. 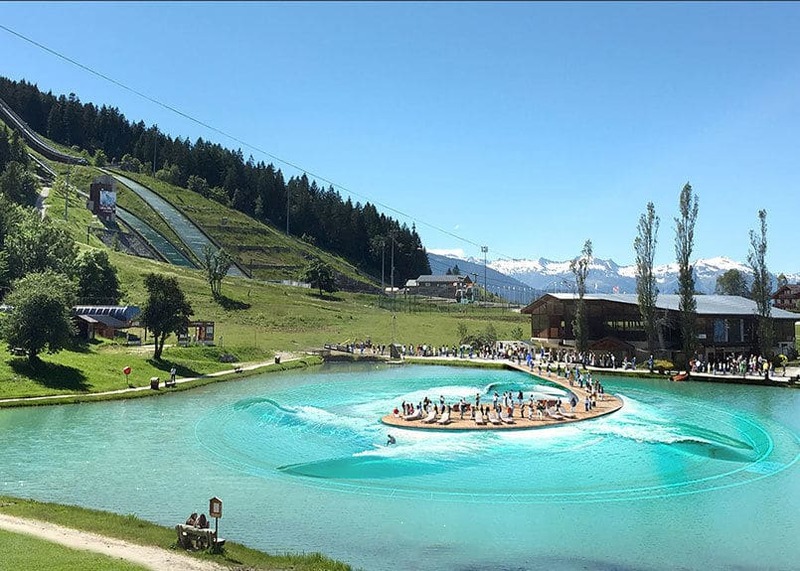 Currently being tested in the Aquitaine region of France, Okahina Wave is a real innovation for the artificial wave industry. We’re not done hearing about it!